Music is something that has always been a huge part of my life. To me, it's not just a happy melody to enjoy in the car, or a beat to dance to. It can affect me in truly profound ways; make me feel immense joy, remind me vividly of past events, give me hope and determination, or even overwhelming sadness. Beyond that, I've always found that I tend to enjoy music for reasons which are often completely overlooked by many others. I hear the intricacies in complex bass-lines, the depth of multi-part harmonies, the dynamics that playing in an abnormal time signature can create. As a result of this, I find myself enjoying a rather eclectic mix of genres: hip-hop/rap, metal, progressive rock, dance, pop, jazz/blues and classical. I rarely avoid a band based on their genre alone. The other odd thing about me is that I tend to overlook the lyrics in most songs. Not deliberately, but because they almost always take a back seat to the music in my mind. Don’t get me wrong, I still enjoy listening to lyrics, and I certainly respect many artists for the sheer poetry of them. I simply find myself distracted by the vocal melody. If a band’s singer is particularly lacklustre, or uses very unimaginative vocal melodies, they will most likely not interest me. It’s very unlikely that I’d listen to a song which was essentially a poem, sung with a half hearted vocal melody composed of only a few notes, accompanied by a few basic open chords strummed in the most basic 4/4 rhythm. I've often felt that people can fall too easily in to listening to only one style/genre of music. For example: they hear an IronMaiden song for the first time through a friend, and are intrigued; they then hunt down and absorb their entire repertoire. 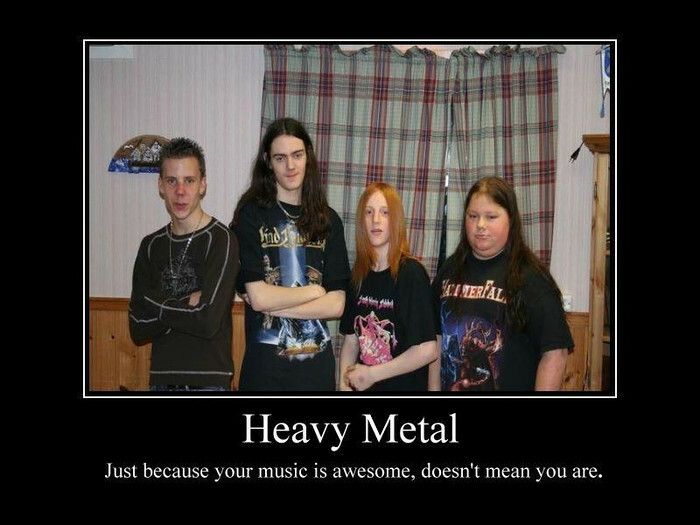 They then decide that they are officially a "metal-head", and begin listening to other key bands within that genre like Metallica, and eventually move on to newer additions like Slayer, Slipknot, Trivium etc. First of all, I'm not in any way discrediting these bands, or that genre of music. I only use this as an example, as it's one that I've encountered the most. I've met many people who have become so entwined in the work of a select few heavy metal bands, that when someone mentions that they like Radiohead, or The Beatles, they are shot down immediately and dismissed with comments like: "That stuff's too tame. ", "Boring...", "Those guys don't shred, they're such bad guitar players!" This goes one step further, whereby many people can’t seem to separate what are indisputably the best guitar players on the planet, from guitarists who are pretty good but write very good songs. An example of this would be Led Zeppelin. They are undoubtedly an iconic band; they have produced some of the most important rock songs ever. The problems arise when fans use this as an excuse to name Jimmy Page as one of the the best guitar players ever to have lived, when in fact many of his solos were in fact quite limited on a technical level. I’m not saying that for a solo to be good, it needs to be complex, I’m simply making the point that any of the guitarists I mention above could play these “amazing” solos in their sleep. They are more talented, more technically accomplished,and deserve a lot more recognition. Anyway, I feel I’ve digressed somewhat. 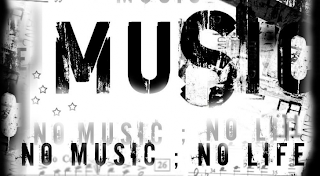 The main point I’m trying to make with this article is that I feel that often truly spectacular music is overlooked by the masses; their views, taste, and understanding biased by the media. The most recent culmination of this problem, was in my opinion, the outcome of the recent Grammys. My favourite band: DreamTheater, were nominated. They are undoubtedly some of the most talented, technically proficient virtuosos ever to form a band. They have over their 27 year existence, produced 12 spectacular studio albums, and have truly set the bar for modern progressive rock/metal music. Their ability appears limitless; switching seamlessly between style, time signature, rhythmic pattern, tempo, usually all within one song. The result of this being that every album of theirs is a magnificent musical journey. It was a similar story in many other categories too. With “Glee: The Music, Volume 4” being nominated for Best Compilation Soundtrack for Visual Media. Now, Glee gets a lot of stick, frequently accused of being entirely commercialised and fake. This is to some extent true, but the actors really can sing, and many have utterly brilliant voices and have starred on Broadway. Furthermore, despite how much they are put down by narrow-minded diehard fans of the originals, many of the Glee covers of classic songs are actually pretty damn good. In fact, musically, they are often better realised than the original tracks, as they are performed by such amazingly talented studio musicians, and produced to such a high standard (There, I said it. Shoot me). All of this aside, I’m not convinced that Glee really deserved a nomination, when so many other great soundtracks were clearly overlooked. Another result that annoyed me was the Best New Artist category. This was won by Bon Iver: a pretty good band, but not exactly ground breaking stuff. They were nominated along with Skrillex, who varies in quality, but is generally just substandard drum and bass akin to the sounds of Transformers on steroids. Also, Nicki Minaj, who is responsible for such unforgettable classics as “Stupid Hoe”. This bugs me because bands like Haken and Aspera/AboveSymmetry have come in to being around the same time, showcasing extraordinary ability and promise in the progressive rock /metal scene, and the latter doing so at only 19 years-old. This is the sad truth about the music industry: raw talent simply isn’t appreciated as much as it should be. The awareness and success of artists who push the boundaries of musicianship and creativity is diminished by over-hyped celebrities with very little aptitude, who rely heavily on excellent studio musicians, computers and audio mastering wizards to produce anything vaguely good. It’s not all bad news, though. Bands like Dream Theater still exist and continue to flourish in their own way. Those determined enough will continue to break through the restrictive walls of the media, and seek out and enjoy truly good music. It’s all too easy to sit back and allow Radio 1 DJs to feed you what they have decided is the must have music of the time. Given, sometimes they do actually get it right. But if you regard yourself as a true music lover, and find your ears craving for more meaningful and exciting sounds, then you must take things a step further and try new genres. 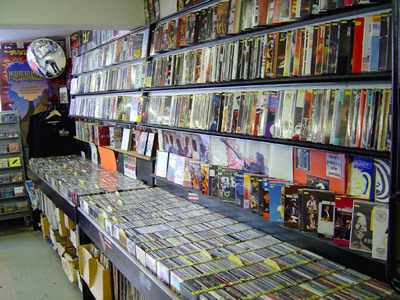 Go in to a music shop, whether it is physically or via the wonders of the internet, and pick up something from the opposite side of the shelf. If you normally plod straight over to the chart section, why not try some metal? If you enjoy dubstep, why not find out where it all came from and buy a drum and bass compilation? If you enjoy guitar driven hard rock and metal like Metallica, why not listen to Kirk Hammet’s teacher, and guitar superhero: Joe Satriani? Perhaps these are bad examples, and I’m not promising that this strategy will work every time, but eventually you’re bound to uncover treasure troves of musical delights you’d have never imagined yourself enjoying. There is so much good music out there to be discovered, and if you are like me, a musical explorer, I salute you. If you are stuck in a rut, bound to a single genre, or struggling to find new things to listen to, then I hope that this article has in some way helped. I hope that this will only be the beginning, and I intend to write more, showcasing both my all time favourite bands/songs, and updating you on any and all interesting new finds as they happen.